A man recently uploaded a video to YouTube showing a banana that he purchased as his local grocery store, and it’s definitely not a sight for fruit lovers. In the video, the banana bursts open, and a spider is seen leaping out from under the peel. According to recent reports, spiders have been making their way to the US from Brazil via bags of bananas. 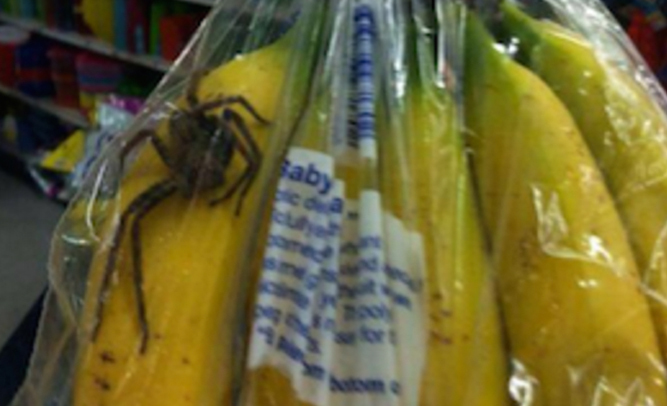 Several shoppers throughout the country have reported finding both live and dead spiders inside pre-packaged bags of bananas. Grocery stores are working hard to check fruits, but not every bag is always checked. A researcher at Cambridge College in Boston, Massachusetts, says that strategically placing fake rubber or plastic spiders around your home can effectively ward off the real thing. 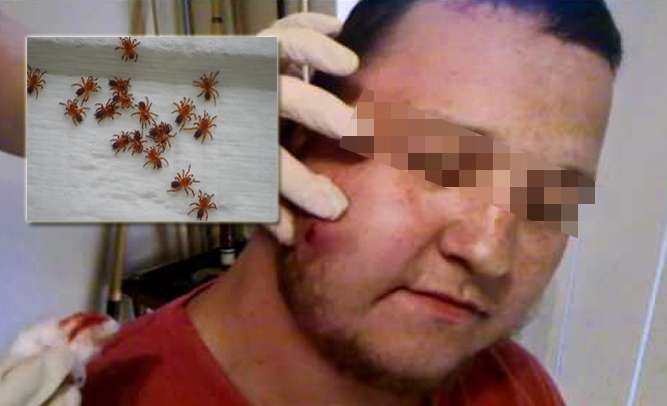 Jim Carver, a research scientist at Cambridge, says that the reason that real spiders are scared of the fake spiders is unclear, but that tests have shown it works 100% of the time to rid areas of the actual, creepy arachnids. Carver suggests picking up fake spiders during the Halloween season when they are easy to come by, and placing them in areas around your home, but leaving them year-round.